The holidays are such a perfect time of year to share your passion for plant based foods! 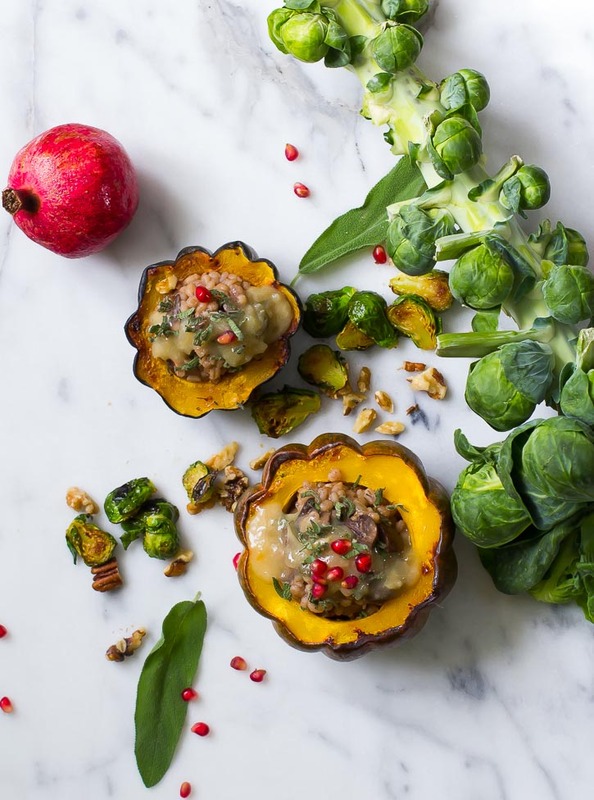 Try these vegan Thanksgiving ideas at your next gathering! Fall treasures like sweet potatoes, winter squash, parsnips, persimmons, pomegranate and brussels sprouts will keep your tastebuds happy and your body healthy. 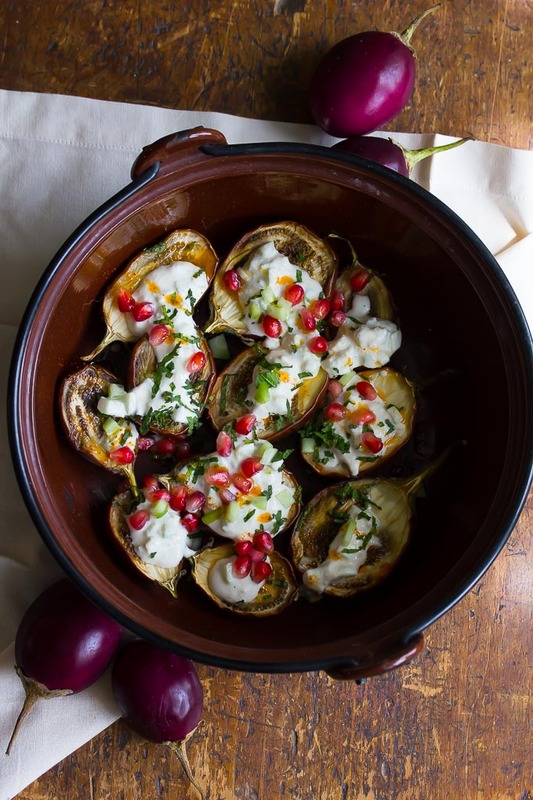 Eggplant is an unusual dish on a holiday table, but don’t underestimate its beauty and interest for the holiday table. 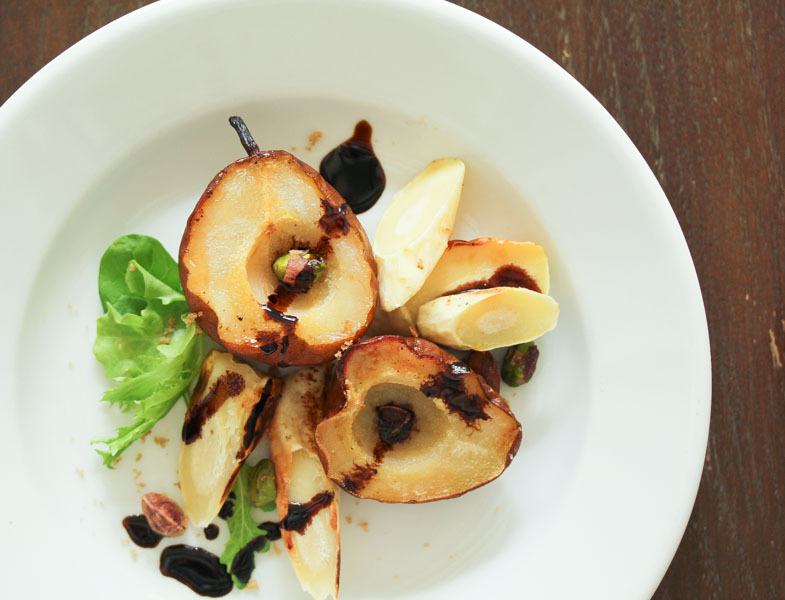 Sweet succulent pears and tender parsnips make an elegant and yummy starter. This would be lovely served on a platter as well! 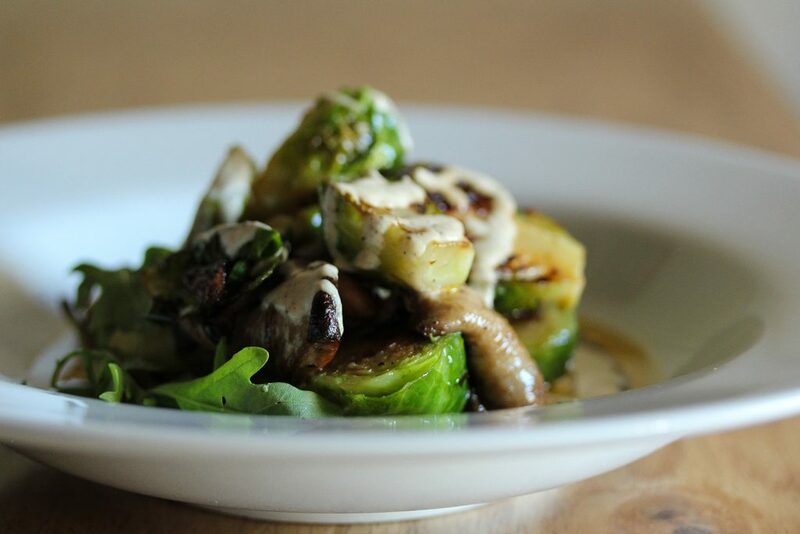 Tender Shiitake mushrooms pair beautifully with the crisp and perfectly cooked brussels sprouts. The truffled cashew sauce adds a delicious elegant creaminess. A little spice at the holiday table never hurt anything! It really enhances the sweetness of the yams in this simple side dish. This winter salad is filling and nourishing with a bright flavor from the cranberry vinaigrette. 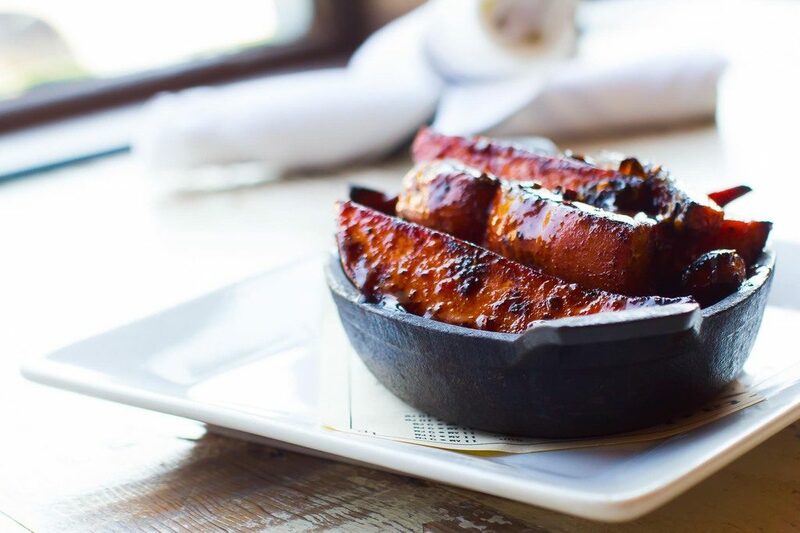 What could be prettier than a squash filled with all the flavors of fall-hearty barley, mushrooms, sage and vegan gravy? 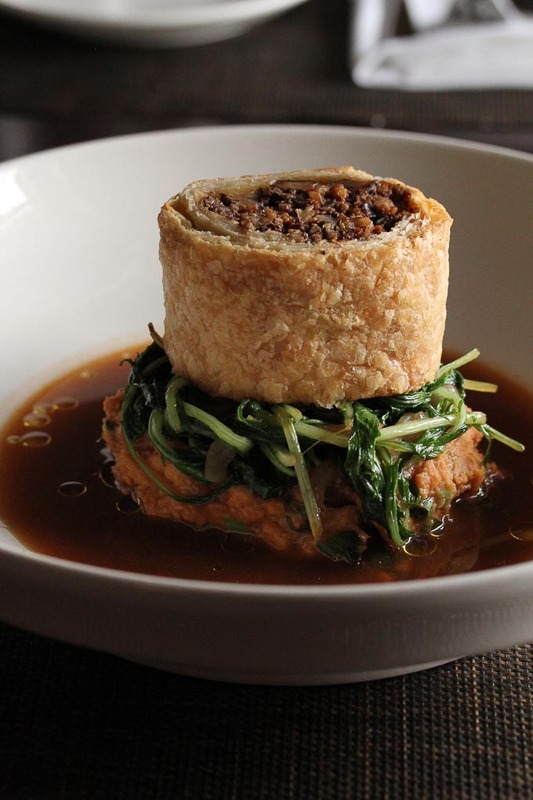 This entree is really a stunner! Sage pecan nut”meat” and roasted portobello mushrooms make a savory and hearty filling. Pureed sweet potatoes and sauteed greens can make this a complete meal! This one is perfect for a fancier dinner. 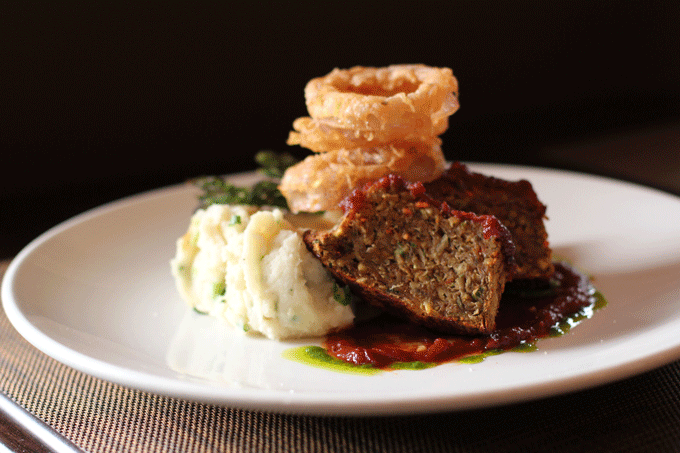 Vegan meatloaf is traditional dish that is a real crowd pleaser! This recipe comes complete with mashed potatoes, barbecue sauce, gravy and onion rings. Make the complete meal or just the meatloaf. This entree has a gluten free option as well! 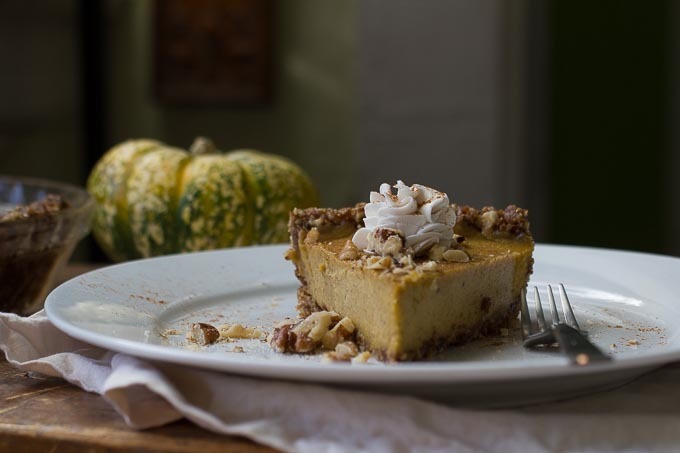 You just won’t believe how delicious this raw vegan pumpkin pie is, with a fig and walnut crust and rum infused whipped coconut cream! 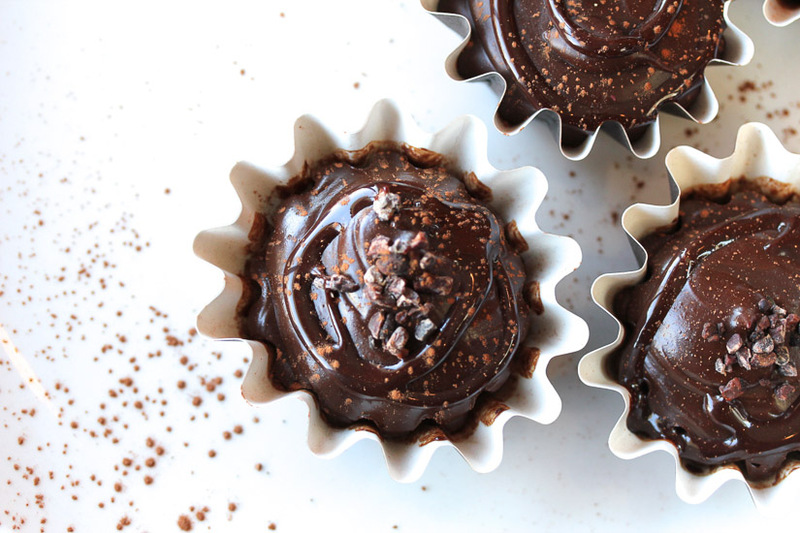 Rich dark chocolate made with just a few ingredients, including healthy fats like avocado and coconut oil. What are your favorite vegan holiday recipes? Comment below! Let me know how it goes, Susan! Thanks for dropping me a line!